So, let’s talk for a moment about David Charles Haller. This is an… interesting character. I do find aspects of him interesting. The multiple personalities lead to a complex and unpredictable character with a wide array of powers. It is different seeing a mutant with a very specific, albeit unrealistic, mental health disorder, and one that’s fairly crippling, to boot. There’s something compelling about that – he’s an enemy of the X-Men but one that garners sympathy more than hatred. He’s a victim in all of this as much as anyone else. Many of the stories Legion is in can be quite good. 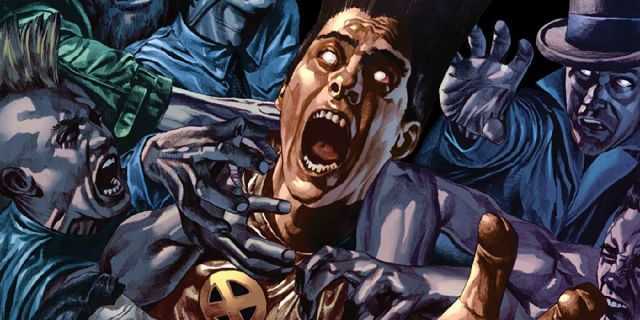 I liked Age of Apocalypse and Age of X, of which both stories pretty much rely of David as the major catalyst for the entire plot, while X-Men Legacy is a very cool series that really digs into Legion’s character. 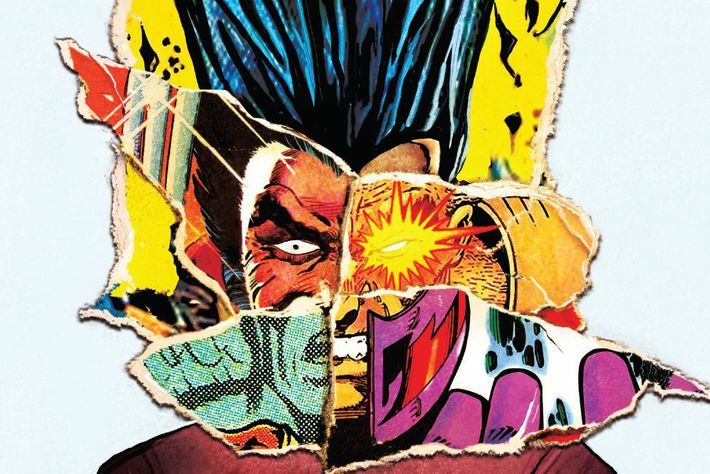 They are all fairly interesting stories, though I’m not going to pretend Legion has ever been my favourite character, and I know for a fact there are a lot of X-Men fans out there that have never connected with the guy. Perhaps it’s the design. I’m really not a fan of his look in the comics. It’s very cartoonish and doesn’t feel like the look of a real person, thus feeling out of place compared to the rest of the X-Men. The hair is off-putting, but all too often so is the way he is drawn, as a whole. His character is also so splintered and all over the place that’s it’s hard to have a solid handle on his personality, or, well, any of his personalities. Which is why it was surprising to hear that this character, of all possible options, was to be featured in a new TV series. I didn’t think much of it, in fact I kind of thought it was a silly idea, I mean, an X-Men TV show, in continuity with the Fox stuff? That didn’t sound promising… until I saw the pilot. And boy, does that change everything. If you haven’t seen this yet, you should definitely check it out. I love how it’s shot and produced – Noah Hawley of Fargo fame is the showrunner of this series and he does a great job, while the series does a really good job at portraying mental health. That might seem strange, for a character like this, who, let’s be real, is a complete work of pop psychology and fantasy. Multiple Personality Disorder is a deeply controversial condition, the characteristics and diagnostics of which has actually changed relative to the release of high profile movies and TV shows that tend to depict it in an over-the-top, completely unfounded and uninformed manner. It and the successor of it, Dissociative Identity Disorder are wildly contested in the field of psychology and thus this whole thing is a bit of a hot button issue with a lot of people. Legion doesn’t really do any of that any favours, but anyone with half a brain should be able to take one look at this character and know it isn’t exactly tethered to reality, so I don’t really think David is all that bad, certainly not compared to other examples in fiction that might try and come off as having at least one foot in reality. But what the comics and this new show do well, especially compared to how the mentally ill were depicted in comics before Legion was created, is that Legion isn’t a malevolent villain, nor is he exactly innocent and without flaws. He’s a person. A seriously ill person, for sure, but still a person, with all the neutrality associated with that statement. A lot of the cast of Legion has that trait, which is part of the reason I really enjoyed the pilot. So far it’s a great show and a very convincing argument that David isn’t a terrible character and still has a lot to offer. Definitely watch the new Legion series if you haven’t yet, because it’s great, and you should check out those comics if you’d like to learn more about Legion, because the Legion Quest, Age of X, and X-Men Legacy are pretty much worth reading, too. I’m going to post some more thoughts on the new TV show on our Patreon page, if you’d like to see my full review of the pilot. I’ll make that review public, so check it out if you’d like to hear more of what I thought of it.